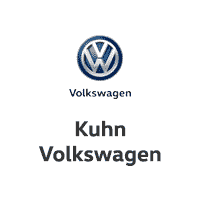 At Kuhn Volkswagen, the transparent sales and trusted VW service that we offer our customers help define who we are. However, we take our devotion to customer satisfaction one step further with The Kuhn Advantage Extended Benefits Program. When you shop for a new car at our Volkswagen dealership in Tampa, FL, you’ll receive a wide range of exclusive benefits that enhance and protect your VW vehicle. From a variety of interior and exterior services to roadside assistance and ID theft protection, our Kuhn Advantage program has you and your Volkswagen covered. Visit our Tampa VW dealership to take advantage of the Extended Benefits Program at Kuhn Volkswagen and get the most value for your money. Guaranteed. Protective Coatings: Exterior painted surfaces have been treated to protect against UV rays and other environmental pollutants for 12-months or 12,000 miles. The interior has also been treated to prevent stain absorption in carpets and fabric seating surfaces. Includes one (1) FREE product re-application. Headlight Protection: A special UV coating is applied to protect headlights from discoloration caused by oxidation, UV rays and humidity for 6-years or 72,000 miles on New Vehicles; and 12-months or 12,000 miles on preowned Vehicles. Includes one (1) FREE product re-application. Glass VIN Etching: The Vehicle Identification Number (VIN) has been etched onto select windows as a theft deterrent. The VIN etch can be used by law enforcement to identify your vehicle in the event it is lost or totaled due to theft. Nitrogen Tire Service: Nitrogen inflated tires lose air 3-to-4 times slower than oxygen; promoting better fuel economy and reducing wear. Includes a single-use tire repair or replacement, up to $50, and three (3) FREE refills. Car Care Products: Included in the Customer Welcome Kit are premium, travel-size car care products which help to keep your vehicle looking its best. ID Theft Protection: ID Theft Restoration services protects your entire family in the event you are a victim of identity theft. This fully managed service will document, dispute and reverse all fraudulent transactions; restoring your identity to pre-theft status. Included for one (1) year. Rain Repellant: The windshield has been treated with a special U.S. Air Force quality Rain Repellant, adding a long-lasting, hydrophobic coating that quickly repels water and provides better driving visibility during rainstorms. Includes three (3) FREE product re-applications. Surface Shield: The interior has been treated with a non-toxic, anti-microbial agent to withstand mold, mildew and bacteria on all high-touch surfaces such as the steering wheel, shifter, radio and door controls. Includes one (1) FREE product re-application. A/C Refresh: On preowned vehicles the entire ventilation system has been treated for mold, mildew and bacteria that can cause offensive odors and allergic reactions. Plus, you’ll receive 50% off your vehicle’s next A/C System Cleaning service. Roadside Assistance: Includes on-demand, 24/7 roadside assistance. If you have a flat tire, dead battery, out of fuel, locked out or need a tow- help is just a phone call away. Track the arrival time LIVE from your smartphone. First incident included. Deposit Protection: Deposit Protection helps cover the initial deposit for your vehicle by offering you $2,500 due to vehicle total loss. Even if you didn’t put any money down, you’re still eligible. Single-use, 90-day coverage included. Loyalty Rewards App: The Kuhn Advantage Mobile App provides instant access to all of your benefits. Plus, earn 5% cash back for every dollar you spend toward future purchases, including your next vehicle.